As stated in the editor’s introduction, the purpose of this book is to emphasize recent developments in biotechnology and biomaterials, including fundamental concepts and novel experimental techniques. However, it is often the case that, as an area of knowledge evolves, concepts once considered esoteric may become fundamental. Likewise, experimental techniques that are routine in one area of science may be quite novel when applied to another. Such is the case with protein electrophoresis, a routine technique in molecular cell biology based on fundamental concepts in protein biochemistry. Biomaterials scientists have always recognized that protein-mediated phenomena were of great importance to their field (Ratner et al., 1996). 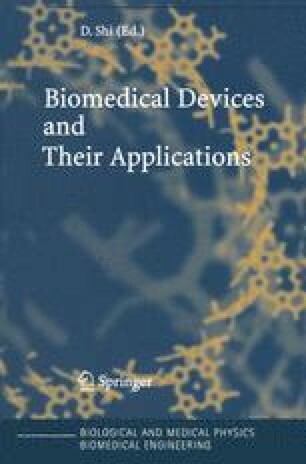 However, as the title of this volume emphasizes, given the evolution of the field toward biotechnology-based biomaterials applications, one could argue that the role of proteins will become preeminent. Within this context, the electrophoretic characterization of protein interactions with nonviable biomaterials, either the result of unavoidable adsorption or through biorational design, will become a vital tool in the arsenal of many biomaterials scientists.